Everyone wants a beautiful home or a place to reside in for perfect living and lifestyle. When your home is ready for a change then it starts primarily from its exterior look, which means a new fresh look needs to be painted first. As the media and world's biggest paint companies have paid an important role in creating the significance of home's aesthetics. As the paint companies have now changed a simple paint in an advanced category which varies from type, colors, texture, design, and tone. Now people become more aware and conscious of the coloring scheming of their houses according to the size and other combination of their rooms. But within the current era, people want not only beautifully painted home but also in less amount of time. This leads to the selection of the right color of paint according to the following factors; Selection of Paint according to Room's Size Room's combination of furniture and curtains Right Paint Company/ Experts Good Advisor Price and cost Room's infrastructure like the number of windows/doors in each room Time Management according to the rooms Passage of Sunlight Onsite Communication with the Advisor/Expert Time Duration Painting tools like brushes, or color buckets Paint Color Ballet If you want the better result, you should keep in touch with the paint expert on every step. How to keep in touch with the paint expert on every step. First, let him aware with your demands or what kind output u want. Because sometimes it happens like people did not properly mention their requirements or sometimes vague, so they did not satisfy when the paint expert deliver the output. Therefore, communication is very important like you need to discuss with the painting team. If you have any idea in your mind then let them aware this will lead to time-saving but also for desirable results. Another important thing is to take a decision regarding the right paint company. It is not always true that whatever you will see in the advertisement is true sometimes what we will see in TV Ads is not true in reality. Like if we talk about paint then you should always select the brand or company on the basis of their existing piece of work this will assure the quality, rates and time duration as well. 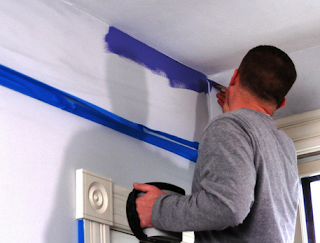 Another important point does not go for the decision of paint by yourself if in case of painting the whole full home. Because it is a very time-consuming job, and most of the time we don't exactly know the painting tactics. 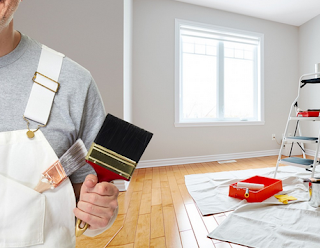 Always consult the paint companies or expertise because they are professional in their jobs, knows the room requirements and more aware of the changing trends. The selection of paint should always be done from the company's color book/ballet according to the size of your rooms, the number of windows, doors, a texture of woodwork, and the curtains. 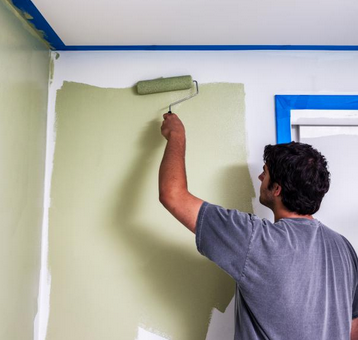 So these are the minor home tactics about which one should be fully aware of painting your home in less amount of time.